“The whole place seemed to me like a deep hole, and the people down in it were strange animals — snakes! And I’d been thrown into it, as though I were a snake, too. 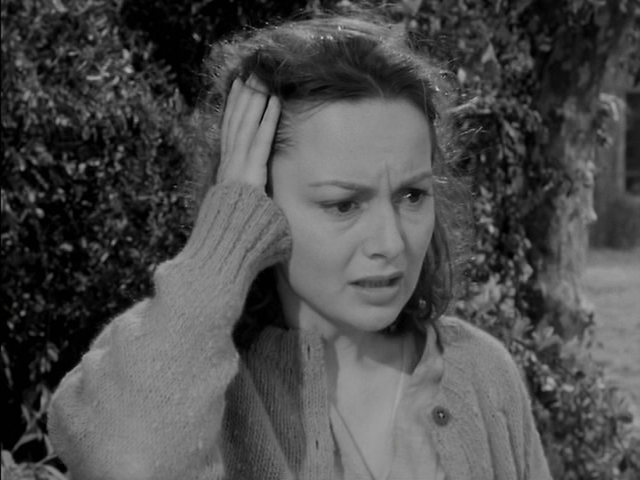 Upon experiencing a sudden nervous breakdown, troubled newlywed Virginia Cunningham (Olivia de Havilland) is sent by her concerned husband (Mark Stevens) to a state mental institution, where kindly Dr. Kik (Leo Genn) tries to help her uncover the reasons for her distress. Olivia de Havilland — “whose strong performance,” Peary notes, “still holds up” — is the primary reason to watch this sincere yet dated adaptation of Mary Jane Ward’s bestselling, semi-autobiographical novel. In the wake of One Flew Over the Cuckoo’s Nest (1975), nothing in The Snake Pit comes across as particularly shocking, but audiences at the time must have been horrified by its depiction of inhumane overcrowding (the didactic script makes sure we’re aware of the impossibly mounting number of inmates), seemingly abusive treatment methods (including shock therapy), and power-playing nurses (Helen Craig’s evil Nurse Davis is an eerie precursor to Nurse Ratched). Leo Genn’s saintly “Dr. 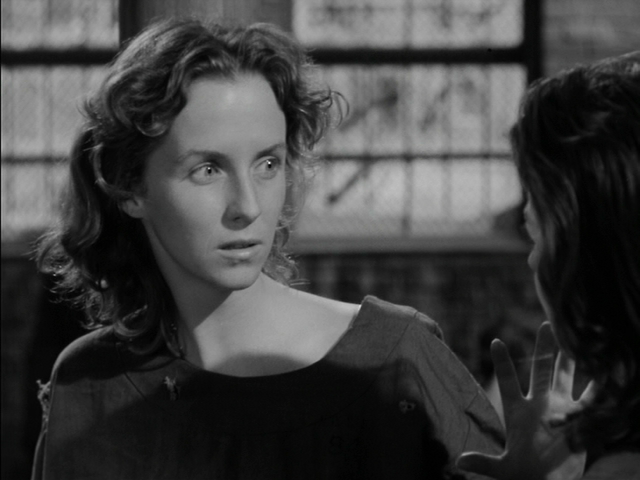 Kik” conveniently mitigates much of this impersonal horror, emerging as Virginia’s literal savior; while his Freudian analysis of Virginia’s childhood is ridiculously simplistic, it’s hard not to feel for de Havilland’s highly sympathetic protagonist, and wish her well. A must, but for more reasons than historical importance. de Havilland: I wouldn’t mind having a cold or pneumonia or anything I could understand. …What’s the matter with me? Is it a brain tumor? Stevens: You’ve had a nervous breakdown. de Havilland: “Nervous breakdown.” That doesn’t sound so bad, does it? Stevens: Just takes time. That’s all. de Havilland: What else does it do to you besides take time? 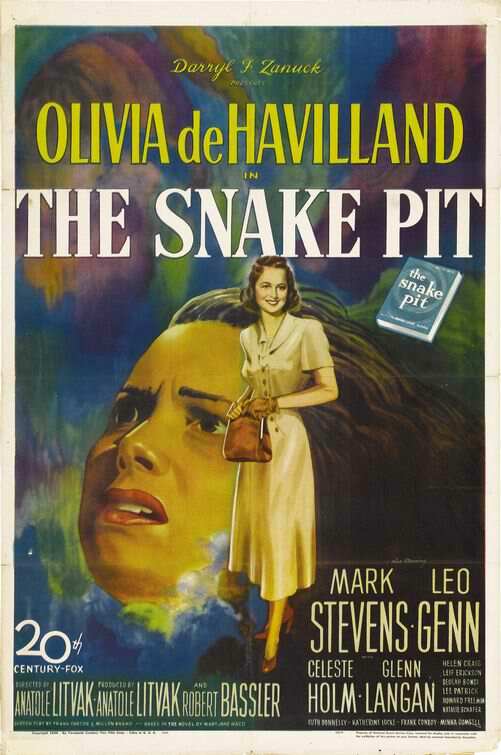 de Havilland: When there are more sick ones than well ones, the sick ones will lock the well ones up. – the ‘Save some for Virginia.’ sequence. 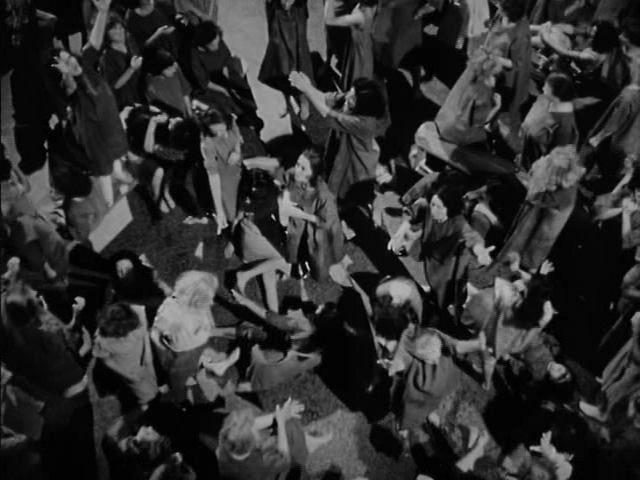 – as noted, the high-crane shot that gives the film its title; myself, I’d say see ‘The Snake Pit’ for that shot alone – it’s among the best in cinema history.